JJC GP-J series accessories is designed for the famous GoPro cameras. As you see, GoPro cameras is ideal for taking photos in extreme sports, however you will need some tools to fix the camera to a safe and steady place. 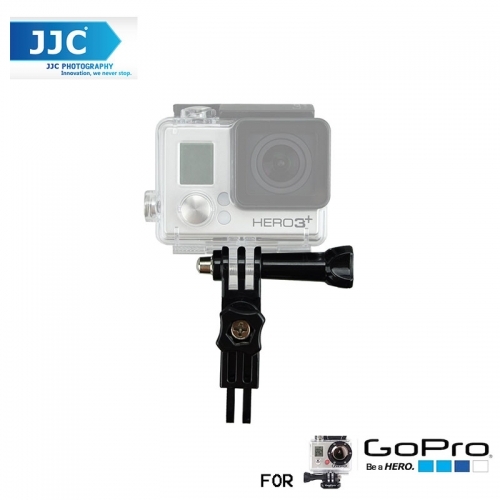 Now JJC produce many kinds of accessories to allow you mount your GoPro to tripod, hand grip, chest belt, bicycle, helmet and so on. Now you will have more fun in your extreme sports. Following is a list of our GP-J series products. It allows 3 directions adjustable to make your GoPro in the ideal shooting angle you desire.